I really like cornbread. There is just something about ending a cold day with a bowl of hot stew, chili, or soup and a side of cornbread. When I was really young that meant opening a box of Jiffy corn muffin mix and as I got older my family transitioned to Marie Callender’s cornbread mix. Let’s just say that Marie set the bar pretty stinkin’ high…that stuff is gooood!!! When we found out that my daughter needed to go gluten-free I began purchasing pre-packaged gluten-free cornbread mixes and I have to say that I have just been tolerating them. 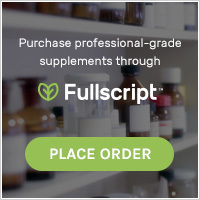 In my opinion I have yet to come across one that is good. The mixes I have purchased through the years tend to be bland and DRY. I finally decided to tackle the gluten-free cornbread monster and came-up with a recipe that I am really happy with. 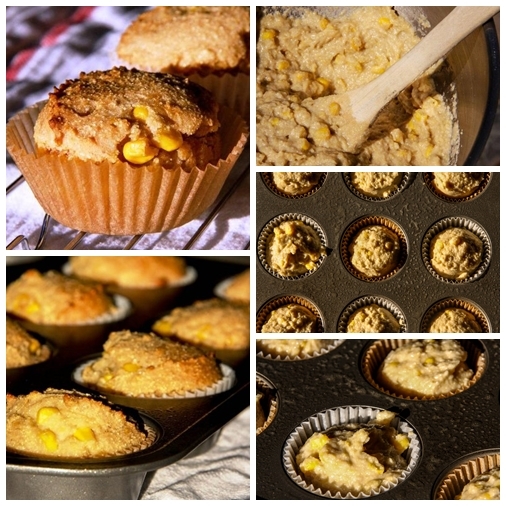 The muffins taste like corn and honey and they are nice and moist. To top it off there is no refined sugar and these moist muffins have NO OIL!!! Preheat oven to 350 degrees F (I used convection bake). Combine the cornmeal, flours, xanthan gum, baking soda, and salt in a large mixing bowl. Whisk to combine. In a separate bowl combine the applesauce, creamed corn and honey. Whisk together until fully incorporated. Add the wet to the dry ingredients and mix well with a spoon until fully mixed. Chop up the whole kernel corn until it is the size you prefer for your muffins. 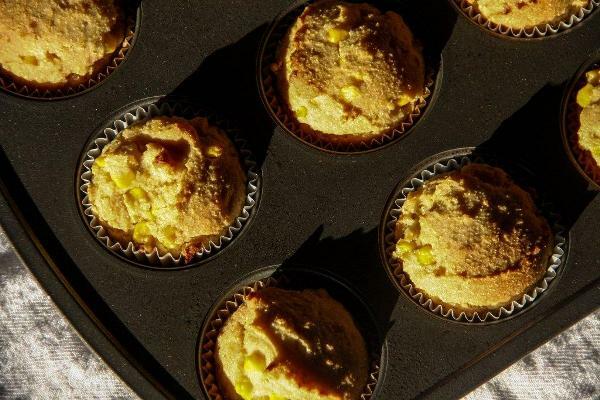 Fold the corn kernels into the batter. 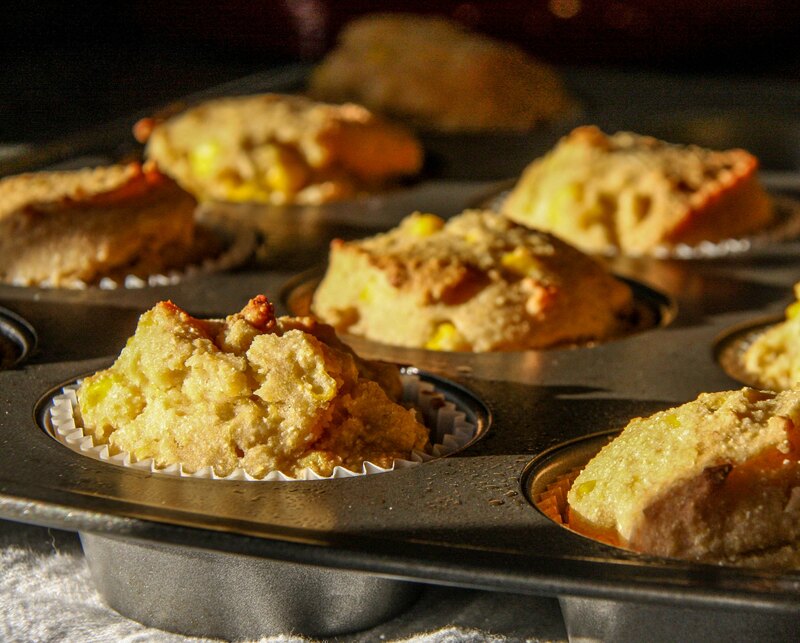 Line your muffin tins (grease lightly with coconut oil spray) and fill each muffin 2/3 full with batter. These muffins taste great straight out of the refrigerator. *Remember that homemade gluten-free baked goods taste best once they have cooled completely. Straight out of the oven they tend to be gummy.